﻿﻿Positive Healing Clinical Hypnotherapy was established in 2004 and is run by Dean Learoyd CH Dhyp, and based in Bawtry, South Yorkshire. 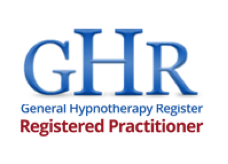 A professional, experienced and a highly qualified Hypnotherapist with CPD Diplomas in Clinical Hypnotherapy, Psychology,Life Coaching, Addiction Therapy and Counselling.Dean is GHR & CNHC Accredited and committed to continuing professional development. A confident and experienced life and business coach, with over 35 years business experience and a wealth of personal life experience..
"My route to becoming a hypnotherapist stretches back to the early 1990's when I first studied psychology and gained my Diploma (Dip Psych). It was through using these skills in my professional life as a Sales Director that I became keen to develop as a Hypnotherapist in order to help people overcome their problems. What drives me is my genuine desire and ability to help people to make positive change in their lives, and to do so in a way that is both right for them and long lasting. I pride myself in getting positive results quickly and, in most cases, results can be achieved in just one or two sessions. I have a confident, professional approach and work hard on establishing positive rapport with my clients.This is the key to effective treatment and trust plays a very important part. Hypnosis works with the subconscious mind and facilitates positive reprogramming through professional hypnotic induction and positive suggestion techniques. In most cases clients will see immediate results and each session is tailored completely to the intrinsic needs of the client. Following on from certain treatments, willing clients can be taught to continue to help themselves with techniques of relaxation and self hypnosis."